Margaret K. McElderry Books, 9780689840708, 80pp. Is the ghost of Cinderella's father at peace in the afterlife? What has made Cinderella's stepmother so cruel? Can a rat be as happy as a human? How do the prince's mother and father feel about Cinderella for their son? Does the Magic One's Magic last forever? 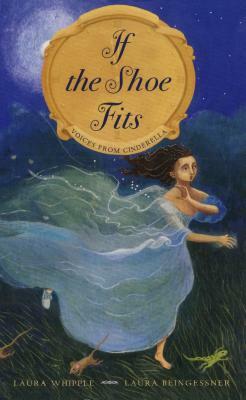 Do the glass slippers realize how important a role they play in the life of one girl? Is there a quiet someone, with a gentle purr, who is a secret accomplice? And, finally, what does Cinderella herself have to say to us about her own story? Through the rhythms of Laura Whipple's poetry and the sweeping colors of Laura Beingessner's artwork, Cinderella's story is spun anew for audiences of all ages to celebrate.